Want to know the meaning of gloomy? 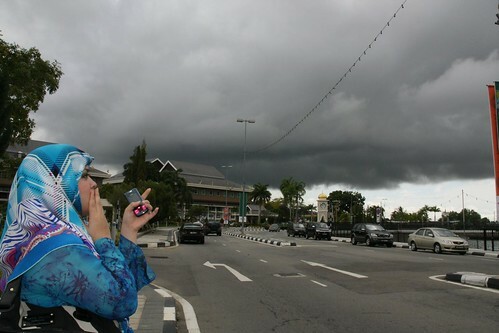 Well if you were there during the Flag Lowering Ceremony in Bandar, you’d see gloomy if you looked up. Image uploaded by Click & Render. Menacingly gloomy in fact. The skies hung low threatening to cover all traces of sun with grey precipitation. My Mum always say, “jahat usul hari” which literally translates as “the sky looks evil”. And in this case I think she’s right. Effects of global warming? Maybe. ← Previous Post Flash Floods are back! i thought the rainy season was over… i’m blaming it on illegal logging!